Team building events in Reading, Slough, Windsor, Maidenhead, Wokingham, Bracknell, Newbury and the surrounding area. Berkshire borders the counties of Oxfordshire, Buckinghamshire, Surrey, Wiltshire, Hampshire and Greater London. 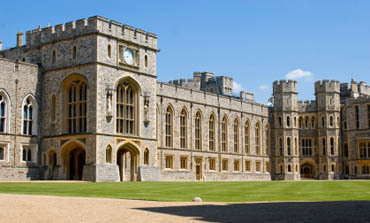 It has a population of over 800,000 and it is refered to as the Royal County of Berkshire because Windsor Castle is there. We have run successful events for the likes of Microsoft, O2, Fujitsu, Centrica, BDO Stoy Hayward, Cable and Wireless, Johnson and Johnson, Vodafone, Baxter Healthcare, Dell Europe, BG Group and many more across Berkshire. Or view our Full List of Events. Talk to us about your Event Requirements today. The last recorded duel was fought on the banks of The Thames at Windsor. Unfortunately it was fatal for both parties as one lost and the other was executed for his involvement.